It’s big, black and menacing, and that’s just the packaging. 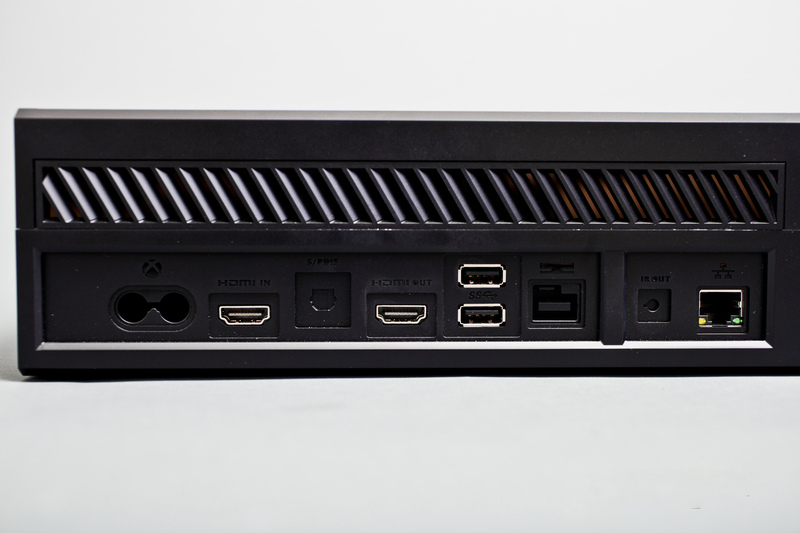 The Xbox One is certainly no lightweight, literally, when it comes to looks. First impressions are pretty much going to always be about the size. Impressively housed inside a black box with black sleeves and black wrapping materials, the packaging is no accident and Microsoft have really thought about how the console looks all snug in its box once you take off the lid. But consoles aren’t supposed to just sit in boxes so, risking a hernia, I carefully lifted it out. Xbox One comes with the console, Kinect 2.0, Quick Start Guide, Wireless Controller, HDMI Cable, headset (one ear only), Power Brick and a trial Xbox Live code. The Day One Edition, sold to the first wave of customers, also has a choice of FIFA 14 or Forza 5 in the box as a download code to install on the hard drive and a trial membership to Xbox Live with an achievement code to scan in. 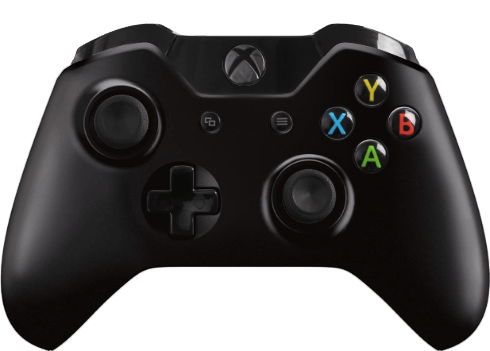 There are few noticeable features on the black plastic body, aside from an Xbox logo which stays inconspicuous until turned on, a slot for discs and a ridge here or there. Microsoft have obviously thought long and hard about the need for hiding sockets and wires and have placed them all at the back, all but one USB port to the left of the machine, which is still neatly hidden from view but far more accessible should you wish to use a USB stick or to add extra storage with an external Hard Drive. Next comes the all-important, though much debated, Kinect Sensor Version 2.0. The sensor is almost as long as the console and twice as thick as the previous generation’s Kinect. It needs to be, too, with all the technology it’s packing. Unlike the older device it has a manually tilting stand and doesn’t move on motors because, well, it doesn’t need to. It’s an all-seeing-eye in every direction without the need to move. There’s no stand to place it on top of the TV, that can be bought separately, so it goes underneath on a shelf instead. Despite its size, the device should fit in well with most user’s home systems. It’s uniformly black, though the one shiny and one dull side provide a talking point, with just the faint hint of a round logo giving anything away until the device is on and the logo shines like some kind of odd Bill Gates-calling Bat-signal. With the wires all taken care of around the back, the Kinect is the only piece of the hardware that might stand out, having to sit either under or over the TV for optimal use. It is, however, very heavy, very heavy. It’s probably best to plan exactly where to put it before placing it down so that you won’t have to move it around, unless you’re training for Britain’s Strongest Man. Setting up only takes about 5 minutes for those used to things like plugs, HDMI cables and USB ports. Ports on the back of the device are clearly labelled with 2 HDMI ports, one in (for your TV output to stream through the device) and one out to connect to the TV. Unlike the last generation, there are no concessions to non-HDTVs or older TVs that don’t use HDMI, but if you’re going to spend £400 or more on a new console then why use a CRT TV to show it off? The funny L shaped hole, 3 from the right, is for the new Kinect. It’s pretty much impossible to mistake it for anything else, so makes it an easy fit. Lastly there are the 2 USB, digital outputs and Ethernet connection, though the device is happy to run with built in WIFI instead, which has improved range and power. You can tell it’s the future. Starting the device for the first time requires a 500MB odd patch to be downloaded. It’s the way of the world now, I’m afraid. However, it’s a fairly straightforward exercise that reboots the machine after use. From there it’s a case of choosing your existing Xbox live account to sign in with or adding a new one, then letting Kinect identify you so that it can sign you in automatically. Scanning those QR codes that come in the box can be done using Kinect, rather than typing in codes though, sadly, the included games still use the old format and require typing in. It’s certainly a far better system if more companies can use this in the future for shop bought digital content or even using a mobile phone to show a QR code. So, turning the console on requires a bit of setup, but soon the machine will splurge out its interface in your general direction. For those who are brought out in hives just thinking about Windows 8, you may feel the urge to run and hide behind the sofa in a Doctor Who style, but give it a chance and it actually makes more sense here than on your desktop. A set of tiles to the left can be re-arranged, pinned and generally mucked about with to show off your favourite or most used games and apps. If you’re a big Netflix fan and play FIFA constantly, you’ll certainly appreciate this. The big tile in the centre of the home screen shows your last activity. If you’ve been playing a game, clicking on this will resume from where you left off, even if you’ve had the Xbox One in standby (and having it in standby means you can turn it on with the command ‘Xbox On’, probably said in a Picard style voice with the words ‘Make It So’ coming shortly after. The quick restart is a small feature, but it really does impress, especially if you’ve had to go and leave the console quickly in the middle of a game. Going back to the home screen from any game or app simply requires the press of the X on the controller or the phrase ‘Xbox Go Home’ (probably said in a more sarcastic tone) and, from there, you can say ‘Xbox Turn Off’ to turn the machine off before having to confirm that statement with a Yes or No in case someone else fancies turning your device off mid-game. Solid. That’s the word that both describes the build of the brick-like machine and the initial reaction to the software and menus. Kinect works well at identifying both voice and face and the Windows-like Metro-style interface isn’t as grating as I feared, working fairly well in this context when pinning apps and games that you constantly play. The future looks far brighter than it once did for Microsoft’s box, even if the console still looks like a black hole at night time.